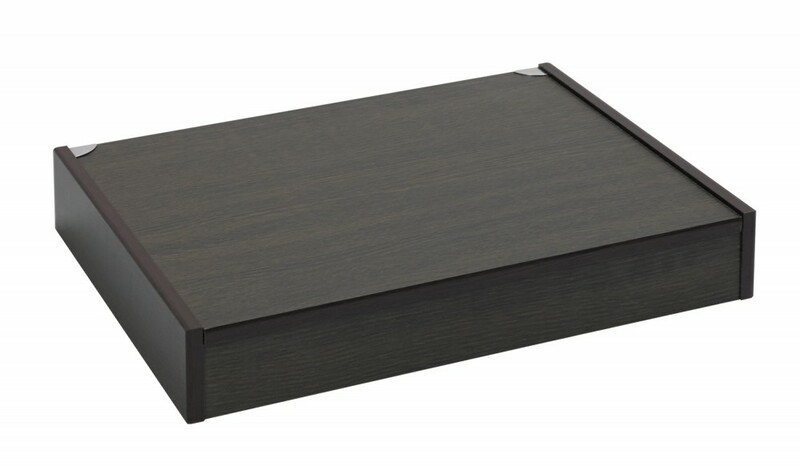 A unique, 24-piece cutlery set in a lovely wooden box. 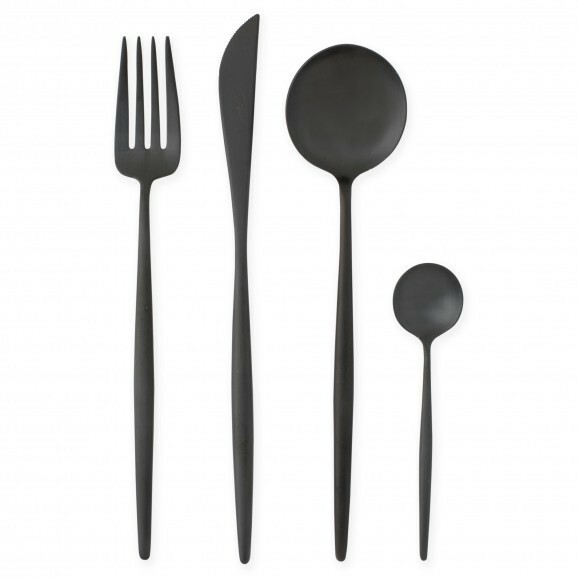 The round Moon cutlery looks quite unique in it's matt black finish. 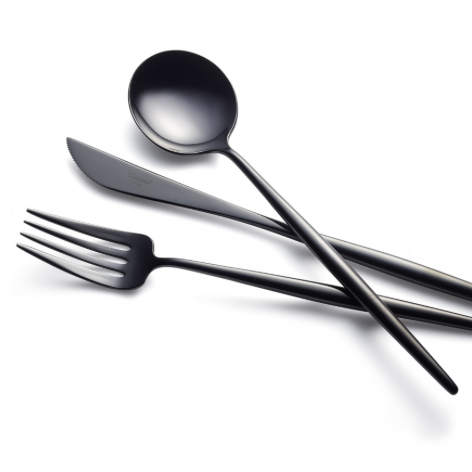 The set includes 6 knives, 6 forks, 6 spoons and 6 teaspoons. An elegant and refined design by José Joaquim Ribeiro fot Cutipol. 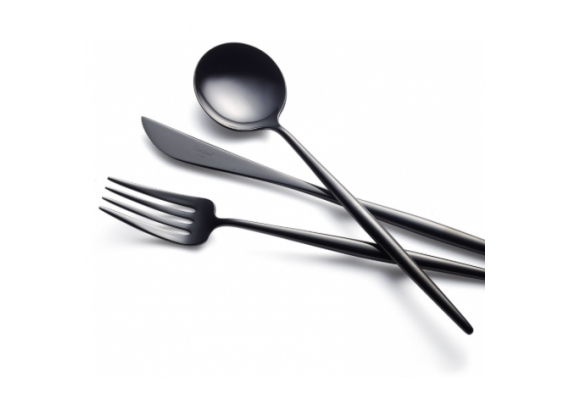 You can complete this cutlery set with matching dessert spoons and/or fish knives. Aso available are butter knives, a ladle, a sauce ladle, coffee spoons and so on. We can always other models from the Cutipol range. Count on a delivery period of 6 weeks to months.